This trick requires a magic pen to work. The whole idea of this trick is to give the illusion that you have pushed a pen through a dollar bill and then magically mended the dollar bill right in front of your spectators eyes. You could potentially create a magic pen yourself with a couple of small magnets but the pens are be purchased cheaply online. A great trick to use with someone else’s dollar bill. 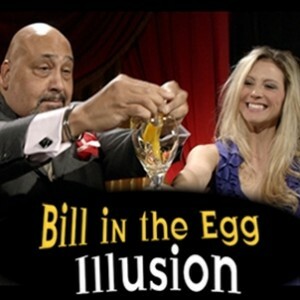 This trick can also easily be adapted to use objects other than eggs for the spectacular reveal. Anything from plastic Easter eggs to a can of soda, or even a large walnut can be used allowing you to custom design this trick to your own personal style.